Kinship care is increasing nationwide, but Virginia still lags behind. According to the “Keeping Kids in Families:Trends in Placement of Young People in Foster Care in the United States,” a New Data Snapshot released today by the Annie E. Casey Foundation as part of its KIDS COUNT® project Virginia has seen improvements in family-based placements for foster children but lags behind the nation in placing children with relatives. Using data from the child welfare system across all 50 states and D.C. over a 10-year period to look at how placements for young people in foster care have changed, the report finds that in 2017 81 percent of children in Virginia were placed with families, including non-relative foster families and kin compared with 71 percent in 2007. However, the percentage of Virginia foster children placed with relatives is unchanged since 2007 at 7 percent of all foster placements. Mirroring the rest of the country, foster placements in Virginia have decreased from group home or “congregate” placements over the last 10 years to family settings. However, in Virginia, these placements are more likely to be in non-relative foster homes than with relatives. Child welfare leaders in Virginia have been successful to reduce placements in congregate care and reduce the number of children coming into foster care. However, Virginia lags behind the nation to provide relative foster placements. Only 7 percent of foster children in Virginia are placed with relatives compared to 32 percent nationwide. Source: Child Trends’ analysis of 2007 – 2017 Adoption and Foster Care Analysis and Reporting System data. Being part of a family is a basic human need and essential to well-being, especially for children, teenagers, and young adults who are rapidly developing and transitioning to independence, as documented in the Casey Foundation’s 2015 report, Every Kid Needs a Family. The new data suggest a growing consensus among practitioners and policymakers that young people in the child welfare system should live in families. Through the Family First Prevention Services Act, signed into law in 2018, states are empowered to prioritize family placement and high-quality, family-centered settings which produce the best outcomes for young people. The “Keeping Kids in Families” snapshot shows that older youth are less likely to be placed with relatives and more likely to be in group homes. In the 2019 General Assembly session, state policymakers took steps to implement the Family First Prevention Services act by passing legislation to bring Virginia in compliance with federal requirements and to kickstart the movement towards high-quality evidence-based and trauma-informed services for children in foster care and at-risk of entering foster care. 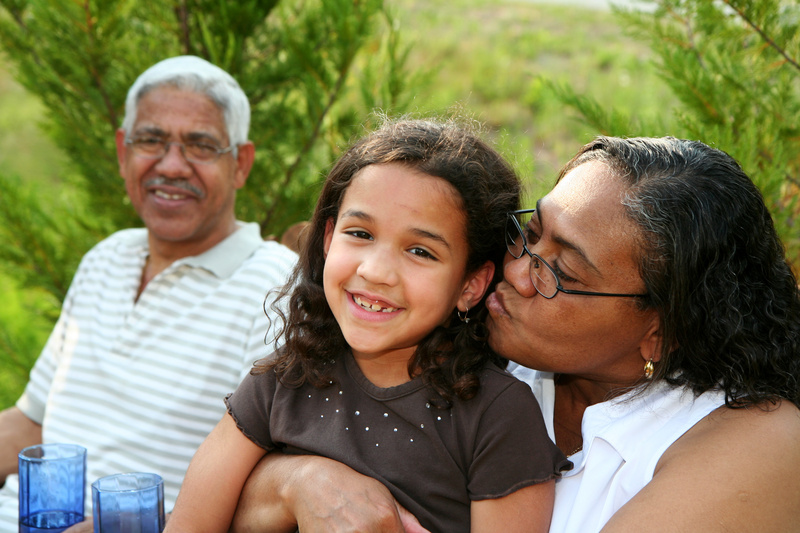 Increase available services to stabilize families, including relative caregivers. Through the Family First Prevention Services Act federal reimbursement will be available for support services for children at-risk of coming into foster care and their caregivers. Virginia has taken steps to prioritize the implementation of evidence-based and trauma-informed services by allocating $851,000 during the 2019 General Assembly session to help ramp up these services statewide. Prioritize and remove barriers from recruiting and retaining kin and foster families, especially for older youth and youth of color. Virginia took steps this legislative session by requiring relatives be notified when a relative is coming into care. However, Virginia should ensure that relatives have similar opportunities to receive the same supports as foster families. Currently families that care for children outside of the foster care system, in arrangements known as kinship diversion, do not receive the same financial support or access to mental health and social supports and foster families. In addition to these services, Virginia should expand efforts for kinship navigators to help relative caregivers navigate the child welfare system. The Family First Prevention Services Act provides some additional federal resources to expand kinship navigator programs. Virginia has already started to take advantage of these funds but could adopt these programs statewide.